Washington Electric is family owned and locally operated electric contractors located serving Seattle, WA. We are state and locally insured, licensed and bonded. Serving the residential and commercial customers with exceptional generator sales, maintenance and repair services, we are one of the #1 electric contractors of Seattle, WA. Our services are available all throughout Seattle, WA and surrounding areas. We are family friendly and one of the most preferred electrical and generator dealer and contractors of Seattle, WA. We strictly enforce the company wide safety policy and comply with the advanced and newly established local, state, and NEC electrical codes. Since our inception we have been able to maintain a zero incident safety record. We make sure that our technicians, staff, and helpers are there to help you 24*7. We are the leading provider of home, electric and power generators all across the city. At Washington Electric we offer each of our Seattle customers the same respect, trust and honesty. We provide a range of products and services to the residential and commercial customers in and around Seattle. All of our products and services are of peak and unmatched quality surpassing your expectations and satisfaction level. Why should Seattle residents choose us for generator sales and service? Wondering what makes us special and the most preferred electrical contractors of Seattle, WA? 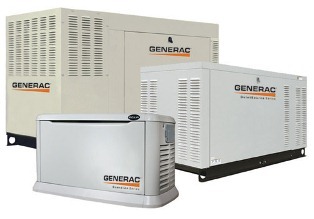 We are one of the leading and #1 authorized dealers of Generac generators in the city. Our dedication and commitment towards impeccable customer services is what sets us apart from other electrical contractors. We are the most preferred electrical contractors in Seattle, WA. From portable generators to automatic and standby, we provide you all. Contact us right now or visit our website for more details.